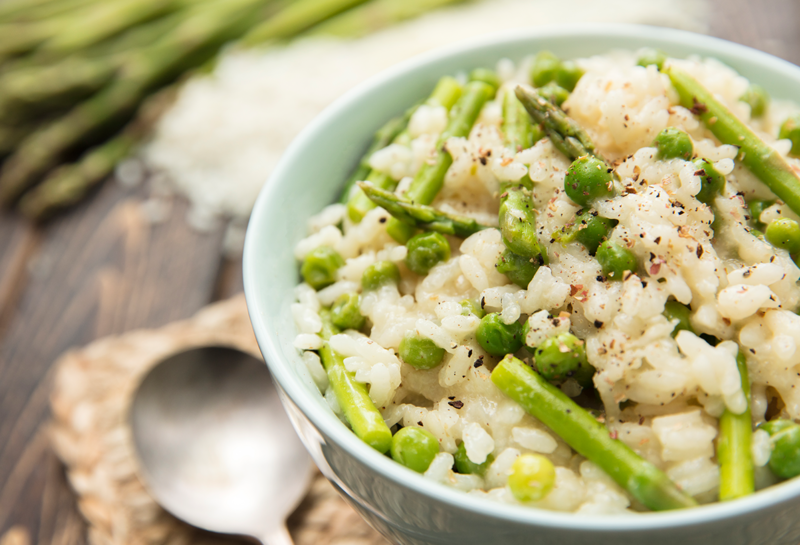 Since we still have some cool days during the spring, comfort food isn’t out of season quite yet, so we had to do a spring risotto. The asparagus and peas are perfect in this creamy dish—when spring comes, I put them in just about everything. Stay tuned for more delicious asparagus- and pea-loaded dishes, 'cause spring has sprung! Remove the woody ends from the asparagus, then cut into ½-inch pieces. Sauté the asparagus, peas, and rice. Add the wine, then cook until it evaporates. Add 2 cups broth, then cook until absorbed. Add the remaining broth, ½ cup at a time, then cook until absorbed. 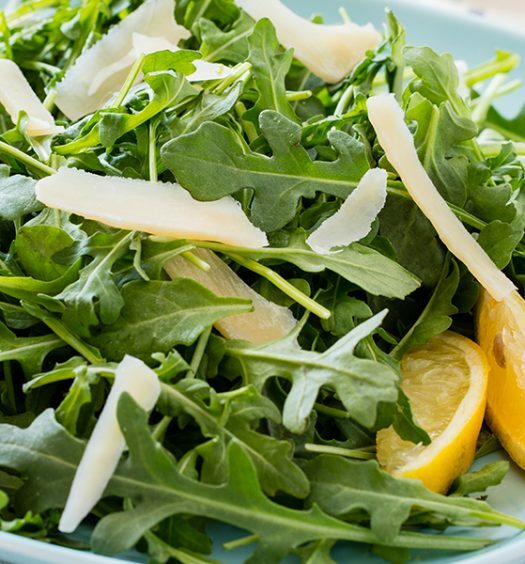 Add the Parmigiano-Reggiano cheese, garlic powder, pepper, and lemon juice.